Deputy Mayor and Ward 1 City Council Member Mary Ann Thompson is looking for your vote for re-election on November 3rd!! Retired 2001 – Standard Register Co, as Mgr of ISG Services, with 34 years service. For the last 20 years it has been my honor to serve as your City Council Representative for Ward 1, with the last 6 years as your Deputy Mayor. I can only express my gratitude and the rewards I have felt in being able to be a part of and make a difference in helping guide the City of Carlisle to new heights. During my tenure as your City Council Ward 1 representative, I have also served in many other capacities to grow this great city. Part of my role as your City Council Representative and Deputy Mayor is to make sure this great city prospers among the numerous cities located in Warren County and the State of Ohio. I was appointed 3 years ago as one of 3 Ohio representatives to serve on the National Human Development Steering Committee. This year I was also appointed to serve as Carlisle’s representative on the National Small Cities Council. Serving on these National Committees brings us additional knowledge and helps Carlisle solve similar problems while bringing recognition to our city on a National level. All incumbents, including myself, have managed to keep our city in a positive financial position relative to the economic challenges facing many communities today. I think the decisions and actions made have always shown that heartfelt commitment to this community. We hope everyone feels that it is in the best interest of the community to keep experienced Council Members, so that we can continue down the path to what we all want - a great place to call home. I am extremely proud of our community and want to continue to be a part of its growth. I am asking for your support at the upcoming November 3rd election. I am ready to continue doing what I can to serve this great community for another 4 years. You can contact me via my e-mail, mat280@aol.com or by phone, 746-1260. 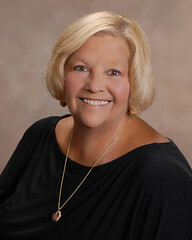 Visit my website, www.votemaryannthompson.comfor my biography, my community activities. And my comments on the issues.